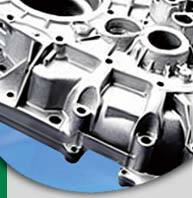 Cir-Q-Tek can also meet your needs for die castings and sand castings in a cost-effective manner. Die castings offer greater design freedom and dimensional accuracy, along with reduced machining requirements and simplified finishing operations. Sand castings are effective in making large parts in a variety of alloys. In addition to using advanced technology to eliminate production errors, Cir-Q-Tek's experienced staff oversees the automated processes to prevent potential problems. When the final product is finished we make sure it meets our high standards and your complete satisfaction. In the end, Cir-Q-Tek delivers a product with a premium surface finish, reduced gas porosity, and lower leakage potential.